It’s never too early to start preparing for Black Friday. According to specialists, 40% of holiday shoppers start researching and buying as early as October, and all the big retailers are offering deals earlier each year too. Ensure that customers looking for gift ideas and information on particular products find you. Don’t be afraid to start building hype around your sales. Tease consumers via emails and social media with sneak peaks of discounts to come. To prepare your audience, you don’t have to give all your sale information away before it goes live, but you could share with your customers which items will be included in the sale, when your it will start and end, the range of discounts they can expect to see on your store and where they can find the sales on your site. Also, use this time to create a sense of urgency and scarcity so your audience can get excited to shop on your site and know that they need to be prepared to shop when the sales go live. Black Friday is a huge online shopping event, and you need to plan for all eventualities. You should ask yourself questions like, ‘can our website handle a surge in traffic?’, ‘are our suppliers prepared for a jump in orders?’, ‘is our inventory stocked for increased demand?’, and put contingency plans in place just in case. You don’t want to be driving more visitors than normal to your site only to have them frustrated with the user experience once they get there. With more visitors landing on your site and more customers purchasing your products, it’s likely that you’ll have more customer support to handle before, during and after Black Friday. Ensure that all of your support channels are up and running and that you or your team will be active on them for the entire period. The last thing you want is to leave your potential customers hanging while they have important questions they need you to address before they make a purchase. 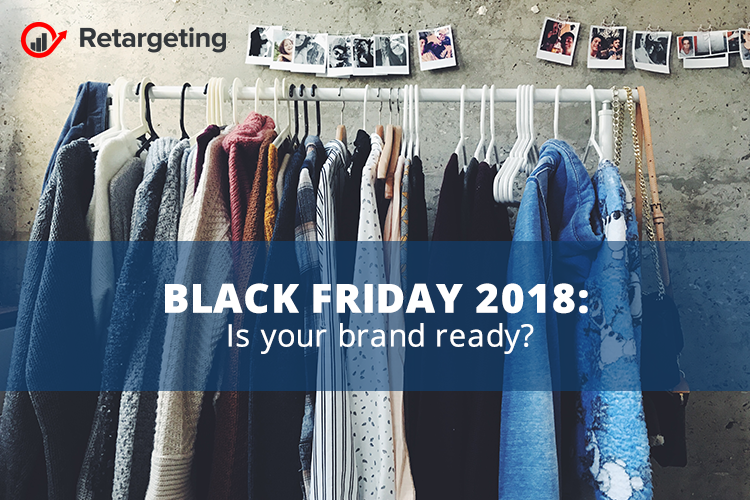 One of the biggest parts of any e-commerce business’ Black Friday marketing strategy is to increase the overall average order value for each customer that lands on your site. Since you’ll be selling your products at a discounted rate, it’s important to increase the average order value that every customer spends on a visit to your site to compensate for the discounted rates. Create bundles: Customers may have only come to your site planning to purchase one product, but when they see that product bundled together with another product they were kind of interested in for a cheaper price, they may be more inclined to opt for the bundle rather than just buying the one product they initially came to buy. Upsell: Upsell your customers to bigger sizes of the product, to add more units of the product to their cart, or to choose the slightly more expensive option because they’re getting a discount on it. Cross-Sell: Encourage customers to add more to their shopping cart by showing them products that work well with the product they’ve added to their shopping cart. Mobile was the star of last year shopping event, with more consumers than ever using their phones to grab deals. This is representative of the wider move to mobile, and is down to continued optimizations on the platform, with the larger retailers, in particular, making the mobile path to purchase ever smoother. So, this Black Friday, make sure your brand has a mobile-first mentality where purchases are quick, easy and intuitive. According to statistics, 78% of holiday shoppers are more likely to buy where same-day delivery is offered, and specialists reported that 85% of last year’s orders offered free delivery. On top of spotless delivery, shoppers are more stressed and rushed than at other times of the year. Offering hassle-free returns makes their lives easier and may also be the deciding factor on a purchase. How to deal with holiday returns!